Jerry Bertrand will bring his considerable experience in Grants and Financial Management to FTLF’s 2018 Federal Funding Academy. Jerry Bertrand will present on operationalizing the internal controls standards and requirements applicable to federal grantees. The standards of 2 C.F.R. § 200.303 (internal controls) matter. Understanding where they come from, what they mean, and how to implement them can save your organization from costly mistakes, and help protect your assets from theft and fraud. 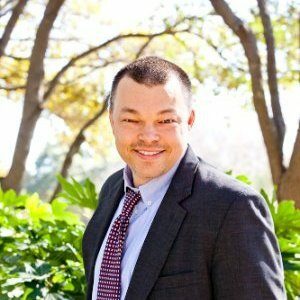 As a consultant, Mr. Bertrand has worked in the nonprofit and higher education environments, including OneStar Foundation, Methodist Healthcare Ministries, and Texas A&M International University. He frequently brings his real-world experience to bear in teaching and coaching environments, conducting on-site training for a variety of organizations, including federal (NASA, Department of Labor, Department of Housing and Urban Development, Department of Health and Human Services, Corporation for National and Community Service) state (California, Idaho, Kentucky, and Texas state governments), local (San Diego County, and the Washington, DC governments) and nonprofit organizations (Habitat for Humanity International, Woods Hole Oceanographic Institution). Mr. Bertrand joins FTLF’s Edward “Ted” Waters and Scott Sheffler, all of whom will share their experience and skill during this comprehensive three-day overview of the federal grants system, covering everything from the legal underpinnings of the system, through procurement and subaward requirements, cost issues, and audit resolution. The majority of the challenges faced by grantees across the country are the same, regardless of federal program and regardless of the nature of the recipient. Join us and your grant management colleagues as we gather in various locations across the country to discuss how to navigate this system effectively. To register or learn more about the Federal Funding Academy explore our website. Conference participants can earn up to 19 CPE credits in Specialized Knowledge and Applications.